The basic recipe calls for all purpose flour, but you can use whole wheat flour if you prefer it. 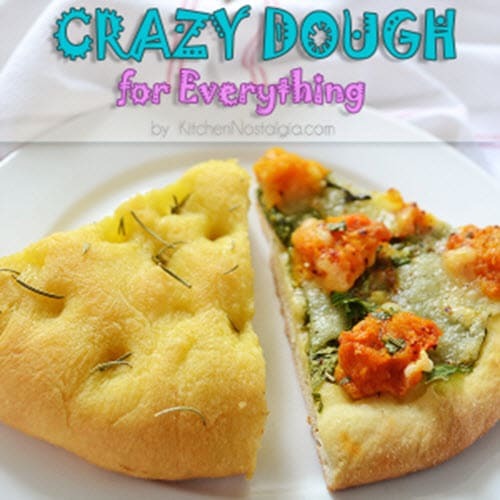 Also, there is a recipe alternative to make your crazy dough vegan. However you choose to make your batch of crazy dough, know that it freezes well too. So you can make a batch to use immediately, and another to freeze for a later time.